Book your pre-ski assessment with Nuffield Healthcare! 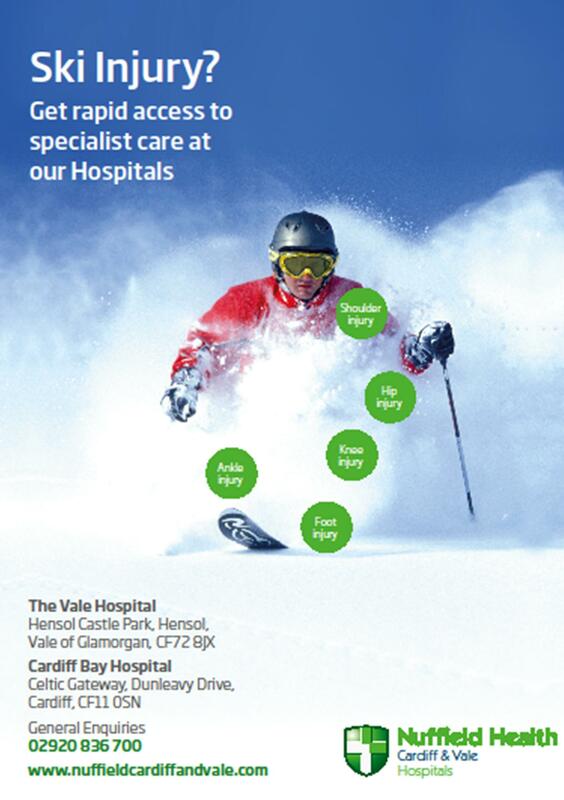 Nuffield Health, Cardiff and Vale Hospital’s physiotherapy department offers bespoke pre-ski assessment for individuals who are looking for tailored exercise advice dependent on their individual needs. This involves a one-hour session with a physiotherapist who will discuss the aims of pre-ski rehabilitation. Your individual needs and any pre-existing musculoskeletal problems will be discussed. Your strength, upper and lower limb, is objectively assessed and proprioception, flexibility, core stability are covered. The physio will then provide a specific programme and offer advice if any other special measures are required, including bracing to prevent any recurrence of a problem or if it is felt that extra support is required. This should be completed at least eight weeks before your trip to gain the full benefit.